Hand-crafted drinks start with hand-roasted beans. What does it take to be a roast master? Our certified roasters undergo training to elevate skills taught by the Speciality Coffee Association of America, ensuring that every cup of Dunn Brothers Coffee reaches its maximum potential. A passionate coffee roaster by day and a dedicated yoga instructor by night. Eric and his wife both own a local yoga studio where they both regularly teach classes. Eric quickly found his passion for roasting coffee and teaching yoga! 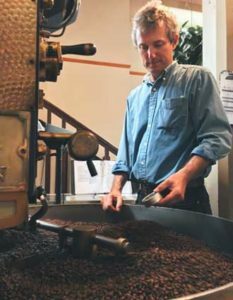 Eric started his roasting career at the Dunn Brothers Freight House location and continues to roast every morning. Jess is the manager and roaster, and started as a barista with Dunn Brothers Coffee since 2013. Her passion for coffee, drive for everything in life, and happy-go-lucky spirit are contagious. Her coworkers and customers love seeing her at the store. Amelia joined the Dunn Brothers Coffee team in October 2012 as a barista, and became intrigued with roasting beans shortly after. 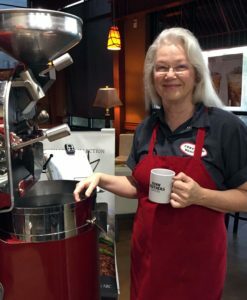 She appreciates the pace you keep while roasting and has fully embraced learning all she can about the skill, and customers and coworkers have fun watching her in her element. 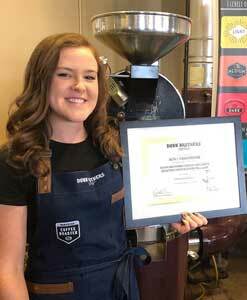 Amelia does not just apply her passion for learning to coffee, she recently started grad school for architecture at the University of Minnesota. 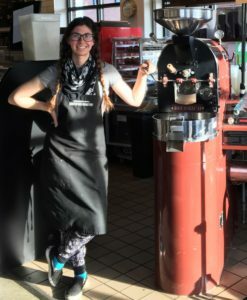 Shauna learned to roast shortly after the Friendswood shop opened its doors in 2011, and has made roasting part of her daily routine since. As a former art teacher Shauna doesn’t just believe in hand-crafted beverages, she makes hand-crafted jewelry in business with her sister. She also enjoys living near the Texas coast with her family. Kirstine started as a barista at Dunn Brothers Coffee in September 2011 at our Loring Park Minneapolis, MN location and happily jumped at the chance to start roasting during the summer of 2014. Kirstine enjoys the opportunity to express herself artistically through craft roasting. She hopes to be able to continue roasting as she pursues her full-time career since graduating from law school. 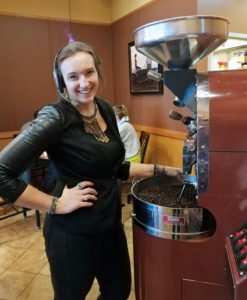 Auna started as a barista at Dunn Brothers Coffee in January 2015 at the Hudson, WI location. 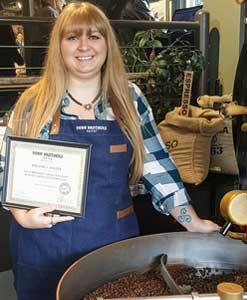 With the need to learn more about coffee, Auna soon started coffee bean roasting. In the future, she hopes to continue her other passion of traveling and exploring the world. She hopes to visit coffee farms around the world and as well as try new and interesting foods.